Want to outshine your own inherent style by wearing something unconventional still stunning? Snehal Creation is your one-stop shop with its breath-taking tunic design. This bright pink coloured fine georgette tunic comes with stylish three-fourth sleeves in an uneven finish. 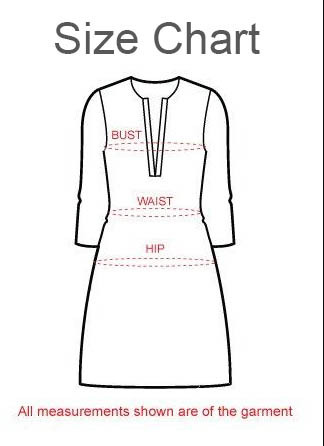 The tunic is designed to have an elongated pleated peplum supported by a silver belt at the waist which provides the necessary style element. White thread work alongside the neck line provides subtle elegance to the piece. Work it with a pair of white trousers or pink leggings and enhance that style quotient of yours.